There is no perfect treatment to reduce the risk of suicide in someone who is considering it. Antidepressants can reduce suicidal ideation, but they take several weeks to start working. Intravenous ketamine is used at higher doses as an anesthetic, but in low doses works quickly to reduce suicidal thoughts. However, it requires repeated infusions to keep working. Researchers led by Yoram Yovell are exploring another option: ultra-low doses of the opioid buprenorphine. In a study published in the American Journal of Psychiatry in 2015, Yovell and colleagues compared low-dose buprenorphine to placebo in 62 patients with no history of substance abuse who had been contemplating suicide for a week or more. Many had attempted suicide before, and more than half met the criteria for borderline personality disorder. 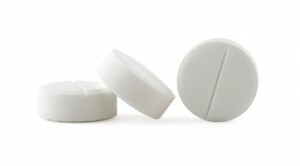 Buprenorphine was administered under the tongue, in doses of 0.1 mg once or twice a day. The researchers used these low doses to minimize the side effects of a drug that could potentially be addictive. Those randomized to receive buprenorphine saw greater reductions in suicidal ideation compared to those who received placebo, both after two weeks and after four weeks. Use of antidepressants did not affect the likelihood that patients would respond to buprenorphine. The researchers suggest that buprenorphine specifically treats suicidal thoughts, rather than improving depression in general. Patients with borderline personality disorder, who are often unresponsive to medication, also saw improvement in suicidal ideation after taking buprenorphine, suggesting that the opioid treated a particular symptom of their disorder—sensitivity to feelings of separation from the people with whom they are close. Patients did not experience withdrawal when they discontinued buprenorphine. Side effects included fatigue, nausea, dry mouth, and constipation. Patients who started out taking 0.2 mg per day were much more likely to drop out than those who started at 0.1 mg per day. There is another reason the researchers used very low doses. A potential benefit to ultra-low–dose buprenorphine is that even a week’s supply of the drug would not produce a dangerous overdose, so patients could potentially be prescribed a week’s worth of medication to take at home instead of in an inpatient setting. Buprenorphine is not recommended for patients with a history of substance abuse. The study only explored short-term use of the drug, and replication studies are needed to clarify its effects.